Our team here at Hunter Office Furniture can take any used cubicle, reguardless of it’s condition, and refurbish it to look like new. 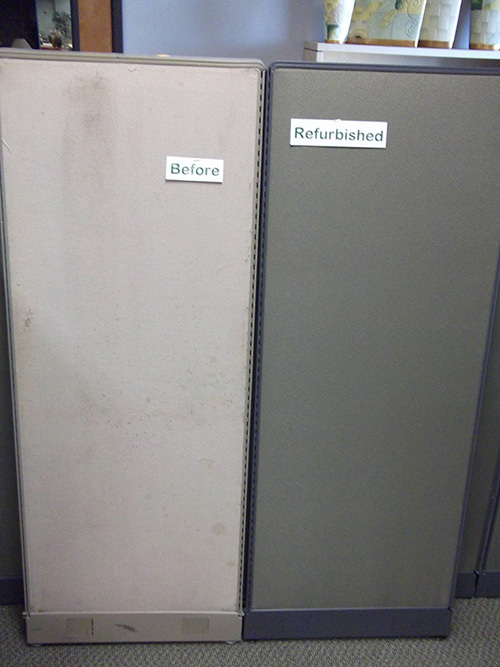 We can paint, re-cover, and re-laminate your current workstations for a sharper or a completely different look. Check out our before and after picture below. Let us refinish, repair, and touch up existing wood furniture for an instant update in any office.